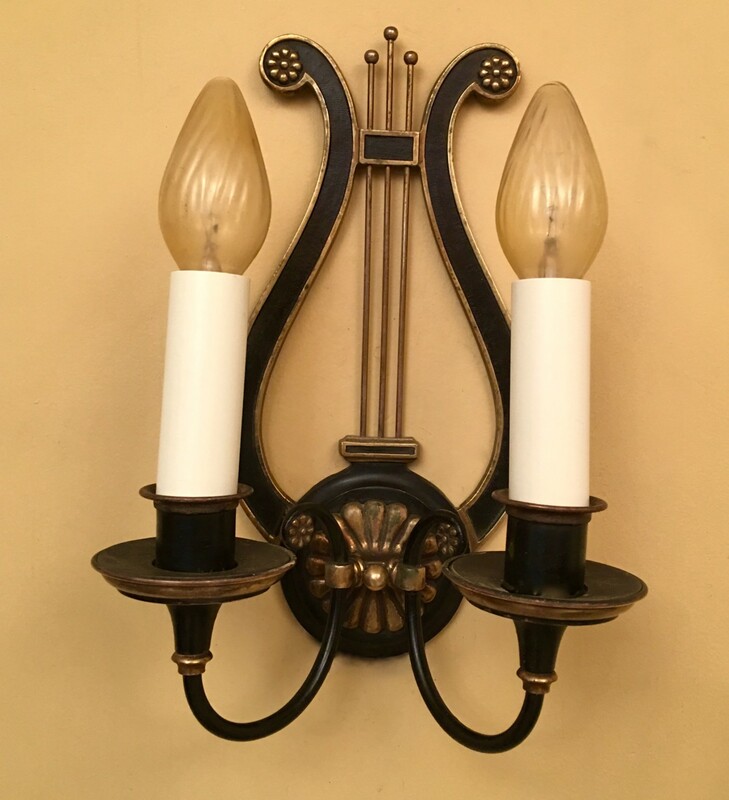 I am always drawn to vintage lighting I have never seen before. 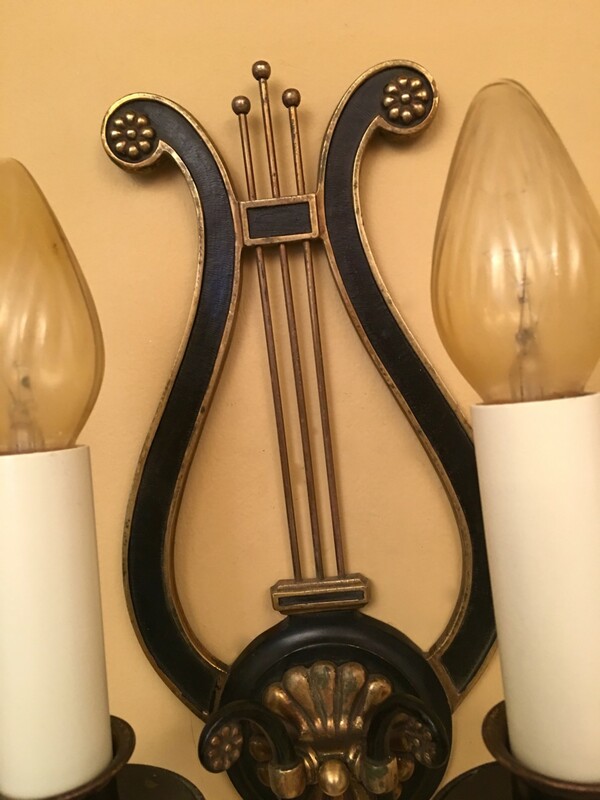 So, a pair of Lyre sconces instantly captured my special attention. They were a bit beat up but I suspected they would clean up well. And indeed they did. FABULOUS! 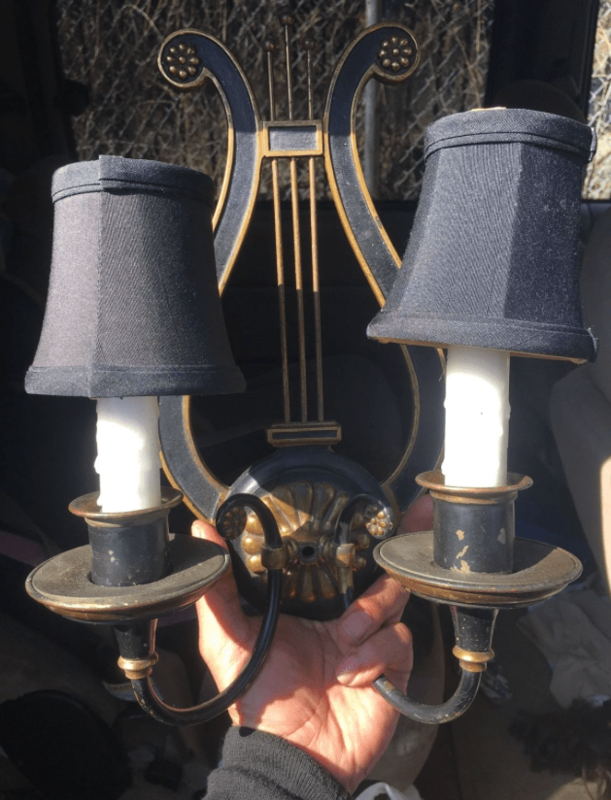 I believe they are late 1930s but they might be circa-1950.